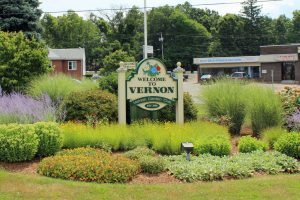 The programs and events listed on our ‘Vernon Events’ page, as well as our physical buildings and properties, are how the public knows our organizations; however, there is a lot happening behind the scenes that benefit the town too. This page lists News of grants received, awards given, projects with schools, and other contributions that help to make Vernon a special place to live and work. The listings are brief. For more information follow the links to the organization websites. 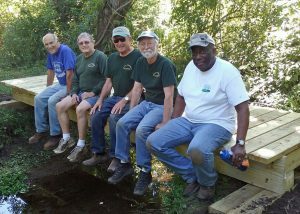 Vernon Greenways Volunteers and their new bridge. With the approved development of the Lyman property on Route 83 Vernon received permission to extend the Dart Hill South Trail along the east side of the Hockanum River. This is another step in the plan to eventually connect the trail to Manchester’s Hockanum River trails. As part of this project a bridge was built by GEORGE ARTHUR, DON BELLINGHAM and the Vernon Greenways Volunteers across a tributary to the Hockanum River. With George’s guidance most of the work was accomplished in a single day. ANN LETENDRE and the Friends Of The Hockanum River Linear Park provided funding for the project from a DEEP grant. The Vernon Education Foundation awarded six “mini” grants to local educators totaling almost $3,000. 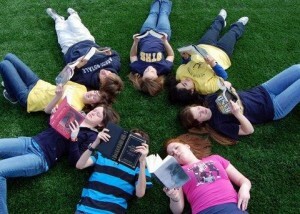 The Foundation is a nonprofit that provides financial support for educational projects in Vernon’s public schools. Four grants went to teachers in Maple Street School and two went to teachers in the Rockville High School. Grants covered such projects as math workshop binders, a field trip to the science center, a visiting artist and sports as a learning tool. The Vernon Garden Club planted the Vernon Circle Gateway Garden in 2002. Since then they have maintained that garden as well as the Lafayette Square Gateway Garden welcoming visitors to Vernon and Rockville with a colorful floral display. The Vernon Circle garden has been a challenge to maintain as water had to be brought in for frequent summer watering. It took years of lobbying, but this year the town extended a water line to the garden making the volunteers very happy. 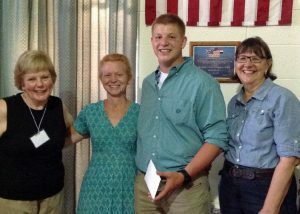 Each year the Vernon Garden Club awards a scholarship to a graduating senior at a local high school who will be pursuing a career in horticulture or a related field. This year VGC awarded a $500 Scholarship to Christian Wheeler, a 2016 RHS graduate heading to Western CT State University. The scholarship was presented at a potluck on June 13. United Bank Foundation check presentation to Ardis Abbot & Jim Ashe. 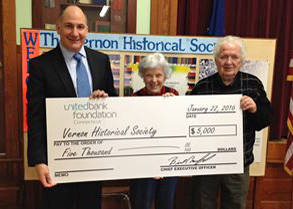 The Vernon Historical Society received a $5,000 donation from the United Bank Foundation Inc. in support of its 50th Anniversary. VHS is preparing a special open house and celebration on Sunday, October 23. 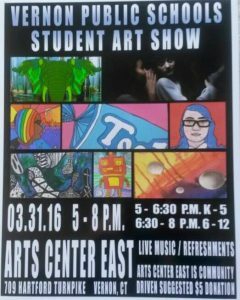 Student artists from across the Vernon School District had their works on display at Arts Center East in April. This is the fourth year for the exhibit. It gives students the opportunity to see their art in a professional setting. The Connecticut Society Children of the American Revolution at their 2016 state conference on February 12-13 presented a plaque listing significant donors and a check for $1,700 to the New England Civil War Museum as part of its state effort to support the Blue Star Museum program, which allows active-duty military personnel and their families to tour museums free of charge from Memorial Day through Labor Day. 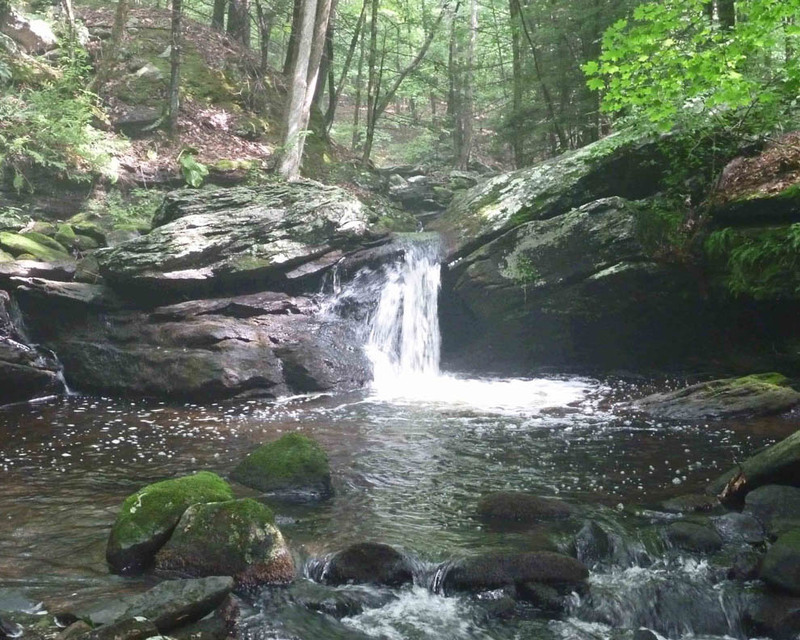 The Northern Connecticut Land Trust Board of Directors developed and adopted a 5 year plan to guide future efforts of its Board, committees, and volunteers. The plan is aligned with the functions of the 7 operating committees of Membership, Fundraising, Acquisition, Farming, Stewardship, Finance, and Public Relations. Highlights include specific plans to grow the membership, organize property management plans, improve public relations and outreach, and streamline acquisition processes and plans. An article was recently published in Backyard Poultry on Strong Family Farm’s Adopt A Chicken Program. The program was made possible by Gail Phillips-Bosshart, SFF’s Humane Educator and Alexis Carmicheal, who came up with the program. Arts Center East announced the receipt of an $18,000 Ignition Catalyst Grant from the Greater Hartford Arts Council in support of Marketing and Technology for a Diverse Community. This is a follow-on grant to Arts Center East’s 2014 Ignition Incubator Grant. The intent of the Ignition Grant program is to help arts organizations fulfill their mission and deliver innovative programming by increasing sustainability, raising profiles and building the capacity to produce cutting-edge work.